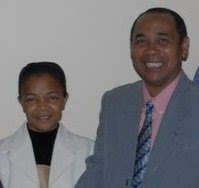 Our newest Africa Regional missionary, Brother Gistophe (from Madagascar), was recently accompanied by area coordinator, Ted Grosbach to the land of his missionary calling and future home in Brazzaville, Congo. Steps were made toward official church registration and necessary files were submitted. A rental property suitable for a training center, national church headquarters, and residence for the regional missionary was found. Time was also spent teaching and preaching with special emphasis on doctrine. A total of eight received the Holy Ghost throughout the trip. One morning five were baptized in Jesus name. Brother Gistophe is expected to move on site September 2008. 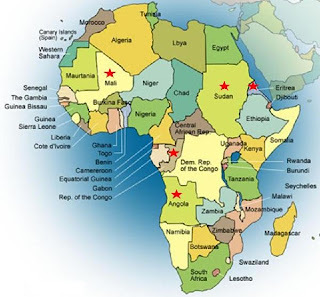 We are now on target in reaching Congo (Brazzaville). We have the Patrick Groves family appointed to Sudan. Area Coordinator, Ted Grosbach and his team are following up on promising contacts in Angola. Our sights are aimed at hitting several targets.